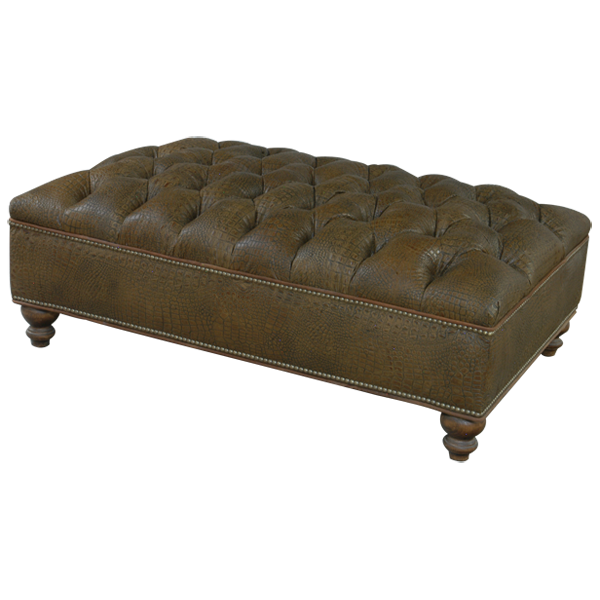 Rectangular shaped Ottoman upholstered from "head to toe" with patterned fine leather hand tacked around its wide sides and button tufted in the comfortable rest area. Wood turned tapering supports. Fine quality Ottoman, 100% customizable.